You'd be surprised how many companies have a specific chemical storage tank picked out but once they talk with our experts, they realize that the tank they had in mind won’t meet their needs at all. 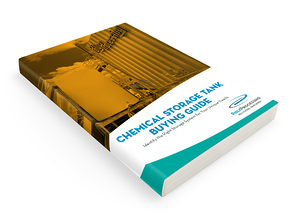 Whether you've been buying chemical storage tanks for years or shopping for the first time, this guide is for you. It will walk you through all the aspects of tank design that you’ll need to consider throughout the purchasing process. Use this guide to familiarize yourself with the major priorities of tank design and to learn about all the options that are available to you. Curious what's inside? Check out the guide's content below before taking it with you. You have a lot of questions to answer when you’re designing a chemical storage tank: what is your budget? How much space do you have in your facility? Where will you keep the storage tank? What kind of fittings will you need? Should you include seismic restraints? The first and most important question isn’t about the tank itself. It’s about the contents of the tank. Every decision you make in the design of your chemical storage system will flow from the answer to the question, what chemical are you storing? If you don’t start by designing for the chemical you’re using, your storage system could be at risk of serious failures, equipment damage, injured personnel, lost product and thousands of dollars in unexpected costs. To maximize the performance and longevity of your chemical delivery system, it’s important to carefully consider the nuances of the properties of the chemicals you’re storing. The storage tank is the headwaters of the system. It is a critical component of the overall process of the use of the chemical. If the design of the storage tank is wrong, it can lead to serious problems for your entire chemical system. For example, if you simply select a tank based on generic factors such as size, tank material, and capacity—without defining the chemical used within the tank—you risk getting non-optimal performance of the tank. It is also important to consider how the nuances of the chemical properties impact the component parts of the chemical storage system. Expensive valves, fittings, pumps, and flow meters—all essential parts for proper operation—could potentially be compromised if they aren’t designed based on the chemical. Let’s consider how specific types of chemicals impact the design of your storage tank. Hydrogen peroxide can be very volatile, and the fittings and connections used in storing the chemical are crucial. Hydrogen peroxide is also an aggressive oxidizer and a strong irritant, so it is vital to incorporate the proper fittings, expansion joints, proper venting systems, and engineered tank material. Otherwise, you could be at risk of a fire, explosion, and exposure of hydrogen peroxide to employees. Hydrofluosilicic acid also requires a specialized chemical storage solution. Hydrofluosilicic acid fumes easily, and the fumes are highly corrosive to nearly all metals. Fuming can also quickly etch glass and stoneware. Damage to windows, copper piping, and metal electrical conduits can quickly add up to thousands of dollars in replacement costs. Some chemicals call for specific kinds of insulation for outdoor storage. Others require double-wall solutions or fittings. Be specific about the chemicals you will be storing. It’s very easy to make harmful mistakes if you only provide a generic chemical name or don’t provide the exact chemical concentration. What Chemical are you storing? To maximize the performance and longevity of your chemical delivery system, it’s important to carefully consider the nuances of the properties of the chemicals you’re storing. The storage tank is the headwaters of a chemical feed system. It is a critical component of the overall process of the use of the chemical. If the design of the storage tank is wrong, it can lead to serious problems for your entire chemical system. For example, if you simply select a tank based on generic factors such as size, tank material, and capacity—without defining the chemical used within the tank—you risk getting nonoptimal performance of the tank. It is also important to consider how the nuances of the chemical properties impact the component parts of the chemical storage system. Expensive valves, fittings, pumps, and flow meters—all essential parts for proper operation—could potentially be compromised if they aren’t designed based on the chemical. 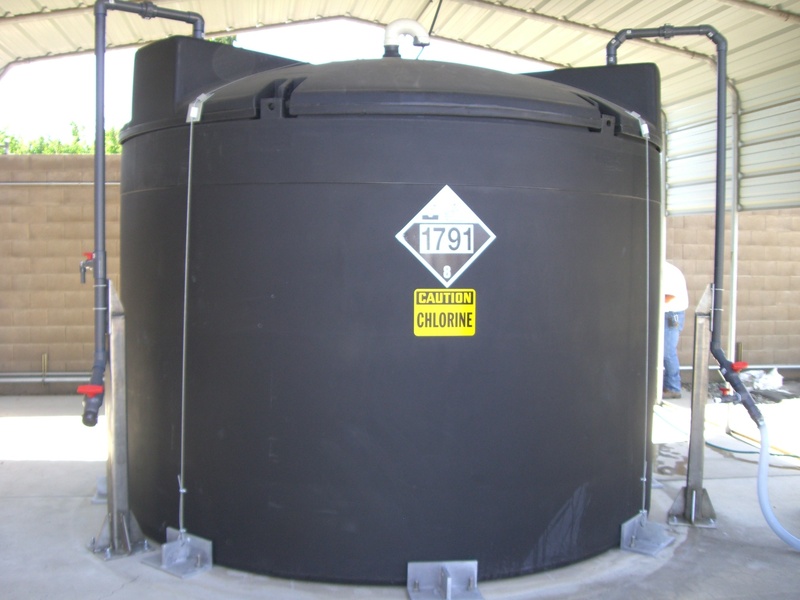 Let’s consider how specific types of chemicals impact the design of your storage tank. Hydrogen peroxide can be very volatile, and the fittings and connections used in storing the chemical are crucial. Hydrogen peroxide is also an aggressive oxidizer and a strong irritant, so it is vital to incorporate the proper fittings, expansion joints, proper venting systems, and engineered tank material. Otherwise, you could be at risk of a fire, explosion, and exposure of hydrogen peroxide to employees. Hydrofluosilicic acid also requires a specialized chemical storage solution. Hydrofluosilicic acid fumes easily, and the fumes are highly corrosive to nearly all metals. Fuming can also quickly etch glass and stoneware. Damage to windows, copper piping, and metal electrical conduits can quickly add up to thousands of dollars in replacement costs. Once you understand your chemical’s unique characteristics, you’ll be able to identify the best type of tank materials to meet your storage needs. If you’re storing water, just about any tank will do. If you’re dealing with highly oxidizing chemicals, you’ll need to eliminate certain options. Let’s take a look at the most common types of chemical storage tank materials. Stainless steel tanks can be used for high-pressure, high-volume and high-temperature applications. Stainless steel storage tanks look nice, too. Many facilities automatically choose stainless steel simply because the tanks have a good reputation and they are found in every industry. However, that’s not always a strong business decision. Stainless steel tanks have their drawbacks—most notably, the price tag. Stainless steel tanks are the most expensive storage system on the market. If you purchase a stainless steel chemical storage tank, you should expect to pay five times as much, or more, than you would for other solutions. As durable as stainless steel tanks are, they don’t handle acids well. To store aggressive chemicals such as sulfuric acid, you will need to add an extra layer of lining to protect the stainless steel tank. Portability can also be an issue. Stainless steel tanks are heavy and difficult to move. If your business is scaling up or you’re upgrading your facility, you may not have the flexibility to move your tanks. Be prepared to sacrifice a degree of flexibility and optimization in your operations as a result. If you order a stainless steel tank, you could be waiting for five months or longer. If you need the tanks sooner than that, you may need to consider other options. Fiberglass-reinforced plastic tanks (FRP) tanks are coated with an interior chemical resin and a structural layer comprised of chopped glass fiber or filament wound fibers and resin. They’re often found in facilities that need to consider tank pressure and volume. But many companies purchase expensive fiberglass tanks for applications that FRP solutions aren’t ideally suited for. Be sure to consider the following issues when you make your tank buying decision. Cost: Because FRP tanks are normally handcrafted, it’s an expensive material. If your application calls for resin-rich corrosion barriers (often required for even common chemicals), your costs can increase significantly. Manufacturing: FRP storage tanks are not one-piece vessels. They are filament wound or hand laid up. Fiberglass tanks are constructed with seams, which means they inherently contain weak points that are vulnerable to leaks. Tank life: Because of the structure of fiberglass, harsh chemicals can wick into the tank walls over time, compromising the tank life. Eventually, the chemical resin barrier on the interior wall is compromised and the chemical makes its way into the structural area of the tank. The fibers begin to break down, and eventually, the tank fails. Maintenance: Since FRP storage tanks are subject to leaks at seams and wicking over time, careful maintenance and inspection are necessary. Often this requires confined space entry. Also, because FRP tanks are painted or have a gel coat on the outside of the tanks, they need to be recoated on a regular basis in most cases. This is especially true for outdoor tanks, which need to withstand UV attack. Special handling: Fiberglass tanks are inflexible, which makes them vulnerable to point load stresses, and if not avoided a crack. This is why they are delivered in special saddle handling trucks. Extreme care must be taken anytime you move an FRP tank, especially during installation. Linear polyethylene is created when a thermoplastic resin is heated to create a fluid plastic. The plastic is hardened and cured into a linear, high-density polyethylene surface. Envision a rope where the individual threads of fiber are mashed together, but not tied. The result is a linear resin that has polymer chains “tangled” together. Linear polyethylene is cost-efficient and suitable for storage of benign and non-corrosive chemicals. Some may have you believe that an added benefit is that it is recyclable. However, the truth is that all plastic ends up in the landfill after the useful life of the tank. The lower price point can be attractive but remember, a low upfront cost can be a high longterm expense. Before you purchase a linear polyethylene tank, be sure it will meet your storage needs. Many companies have invested in linear polyethylene tanks because of the price, only to regret the decision later on. When a linear polyethylene tank is used to store corrosive materials, the system doesn’t simply develop a pinhole leak—it can fail catastrophically. These chemical storage tanks can’t stop cracking once it begins, because the molecular bonds are like that rope of meshed fibers—pull the right way and it comes undone. Eventually, the tank “unzips” itself and the entire sidewall can rip open. Cross-linked polyethylene (XLPE) is high-density polyethylene that is manufactured by adding a catalyst to the thermoplastic resin which turns it into a thermoset. The catalyst causes a covalent bond that links the molecules together. Picture a chain linked fence where the metal is actually linked together. The result is a plastic that possesses greater impact durability, tensile strength, and resistance to fracture that makes cross-linked polyethylene an excellent choice when tank integrity is of utmost importance. The chemical resistance, heat resistance, and dimensional stability are unparalleled. In order to create very safe, long-lasting storage tanks, cross-linked polyethylene has become a desirable material to be used in chemical storage vessels. There are a few key reasons why XLPE is a highly desirable material for tanks that need to last as long as possible. There are a few key reasons why XLPE is a highly desirable material for tanks that need to last as long as possible. Safety in strength: They are much safer and stronger. Due to the molecular bonding of the polymers within the tank system, it will not tear or unzip catastrophically like high-density linear polyethylene tanks have a tendency to do. XLPE tanks are manufactured to provide the highest possible personnel safety and environmental care that is available on the market today. Cost: If you look the entire picture, XLPE tanks are one of the most affordable on the market. While the upfront cost is slightly more than linear polyethylene, the life cycle costs are far less than linear tanks. Cross-linked tanks have a longer useful life and require less maintenance, making them less expensive than other types of tanks. 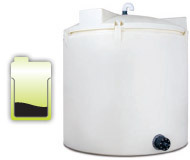 Durability: XLPE storage tanks are leak resistant because they are molded as one piece (monolithic), without seams. The cross-linked resin stands up to the harshest chemicals. Longevity: Cross-linked polyethylene storage tanks last longer than linear and fiberglass tanks, often exceeding two decades of useful life. Maintenance: They require almost no maintenance and rarely need an internal inspection for leaks and cracks. Portability: Since XLPE tanks are relatively lightweight and are extremely durable, transporting them is easy and cost-efficient. They can also be maneuvered multiple times without fear of damage. Once you understand the right tank material for the chemical you are storing, you will need to determine the tank design that will meet your needs. Before you think about costs, consider your floor space, the way that you will use the tank and any future changes that are likely to affect your storage tanks (e.g., facility upgrades or tank relocation). 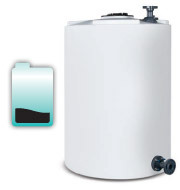 Our vertical tank is a cylindrical, upright tank that provides robust containment and dependable service. This is the tank of choice for many customers that already have secondary containment in place. This versatile tank includes built-in features such as lifting lugs and ladder lugs. They are available in sizes ranging from 30 to 15,000 gallons and is available with an OR-1000™ antioxidant surface. Cone-bottom tanks are generally used in process applications where total drainage of the tank is required. Typical applications would include the storage of heavy materials and materials prone to sludging, which are difficult to drain out of upright tanks. 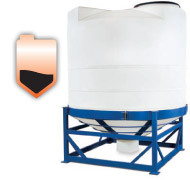 Cone-bottom tanks are also ideal for dry materials, such as grains or cattle feed. Our cone-bottom tanks are available with funnel slopes of 30, 45, and 60 degrees. A sharply-angled cone bottom gives you a faster drain, which can be ideal for viscous fluids with a sludgy consistency. Poly Processing has a safe, full-drain tank option that preserves the integrity of your tank in a way that no molded or inserted metallic fitting can provide. 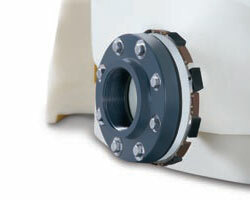 We utilize what is known as an Integrally Molded Flanged Outlet or IMFO for short. The flange is formed along with the tank itself from the rotational molding process of curing resin homogeneously throughout the entire vessel. Other types of full drain outlets may say they are integrally molded in the description but it will involve a post-production drill fitting and will be less effective. 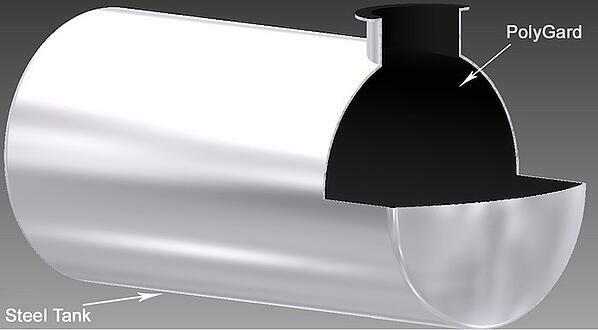 100% full drain: The flange is below the bottom of the tank, below the tank knuckle radius. Structural integrity: The one-piece construction enhances long-term performance of the tank since it doesn’t compromise the tank hoop’s integrity or structural design. Net positive suction head: The IMFO’s design delivers the highest amount of static head pressure, which contributes to the highest net positive suction head (NPSH) of any vertical non-coned tank. Tank maintenance: Because the IMFO provides 100% full drain, there is no need to enter the tank for cleaning as it can be hosed from the manway and fully drain the wash fluid. Eliminates the need for side manways: No internal maintenance is needed. Poly Processing’s Slope-Bottom IMFO tank design allows heavier substances such as sludge and FOG (fats, oil, and grease) to drain more easily. And because it also incorporates the IMFO drain at the very bottom of the sidewall, you’ll get a 100% full drain. There are no residual materials to clean out. In most cases, this innovative design is more cost-effective and alleviates many of the hassles that come with a cone-bottom tank. Some of these hassles include cleaning, they require additional vertical space and safety precautions, and they can be more expensive. The Slope-Bottom IMFO can also withstand more hoop stress than cone-bottom tanks. There are no fittings and no risk of leaks or stress cracking. The one-piece construction won’t compromise the tank hoop’s integrity or structural design. For most applications, your chemical tank needs to have some kind of containment barrier. Usually, companies use a large concrete berm to contain spilled chemicals. But concrete berms are costly and demand a large footprint. They also can’t prevent the damaging of equipment or property, loss of chemical, or injury to employees in the event of a spill. Poly Processing’s SAFE-Tank® provides a “tank within a tank” system to safely store chemicals and prevent damage and injury. The SAFE-Tank provides a minimum of 110% secondary containment. The system works by allowing chemicals to equalize. 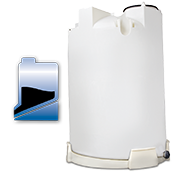 This means if your primary plastic tank is breached, the liquid is captured by an outer sealed secondary tank. One main advantage is the chemical can be used until the primary tank is drained and inspection to determine the source of the leak can be completed. No loss of Chemical. The containment system simply becomes a single wall tank but still feeds the process line. A containment berm prevents the chemical from going further but your process is still down and you need to reorder chemicals. Safety. Meets the EPA and OSHA requirements of 110% secondary containment. You won’t have to worry about spilled chemicals and the safety of your employees and equipment around your storage tank. Cost. Because the SAFE-Tank has a smaller footprint, it also takes up less space, which can be an important factor in cost savings. Altogether, the SAFE-Tank can cost up to 90% less than traditional concrete containment structures. Open-top tanks are primarily used for applications that require containment but don’t need everything the SAFE-Tank provides. Our open-top tanks are sized to fit our tubs. These tanks also make an ideal solution for applications that require mixing, blending, or brining. We can install a hinged lid on the top, and the open-top solution gives you greater access to the tank. You can also enjoy greater ease of access to dry materials because you don’t have to pour the contents into the tank through a manway. For companies that need transportable storage containers larger than 55 gallons, but nothing as large as a storage tank, an intermediate bulk container (IBC) is an attractive solution. An IBC, or tote, is an industrial-grade container for storing and transporting bulk chemicals and liquids. The IBC is stackable, easily transportable, and re-usable. Poly Processing set out to build a better IBC—one engineered for repeated use and designed for longevity. Our best-in-class 330-gallon PolyTote IBC delivers a more robust and worker-friendly product than any other tote on the market. This tote takes transport storage to a whole new level of strength, utility, and durability. PolyTote consists of three components: the tank, the all plastic frame that encloses the unit, and the plastic lid that keeps the tank in the skid. Poly Processing’s IBC is certified to UN/DOT requirements. Need a tank solution that isn’t listed here? We can custom manufacture large, rotationally molded parts—larger than anyone else in the country. We’ll work with you to create custom solutions for the most unique situations and projects. Our dedicated engineering team is ready to help you fulfill your critical needs. Finally, your chemical storage tank may require some customizations to meet your application’s needs. Poly Processing offers two industry-leading options that boost the performance of your storage system. One of the challenges in storing any oxidative chemical is engineering the tank to provide the greatest safety with a maximum useful life. Poly Processing’s exclusive OR-1000 system was specifically designed to address aggressive oxidation effects by adding an additional oxidation barrier between the XLPE and the chemical. Its engineered inner surface is made of medium-density polyethylene, specifically formulated to resist oxidation. Its outer surface is made of XLPE for superior strength. The two surfaces are molecularly bound together during the rotomolding process, creating a truly seamless bond between the XLPE and the inner surface. The result gives you four times the antioxidant strength of any polyethylene on the market today! OR-1000 can be used on any Poly Processing tank, including the SAFE-Tank and the IMFO system. 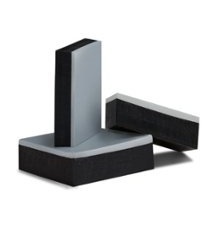 Need the structural integrity of steel and the chemical barrier properties of polyethylene? Add a PolyGard™ lining system to your steel tank or vessel. PolyGard is a seamless, corrosive-resistant polyethylene lining system that serves as a barrier between the steel tank and the chemical it’s storing—and it protects your vessel even in the harshest of conditions. Bring your steel tank or vessel to Poly Processing, or contact us to discuss your specific needs. We’ll use our proprietary rotational molding process to ionically bond the PolyGard™ system to the steel, creating a homogenous and consistent product. The robust, seamless lining system will prevent highly oxidizing chemicals such as sulfuric acid, hydrochloric acid, ammonia, and other compounds from attacking the steel surface, greatly extending the life of the tank. Finding the right tank is crucial to successful safe chemical storage. It can be easy to design the best tank to fit your needs if you follow the process we’ve outlined in this guide. Always start with the chemical you’re storing, then use that information to identify your tank material. Determine the type of tank to suit your functional needs, and think about any customizations you’ll need. Ready to start designing your chemical storage tank?